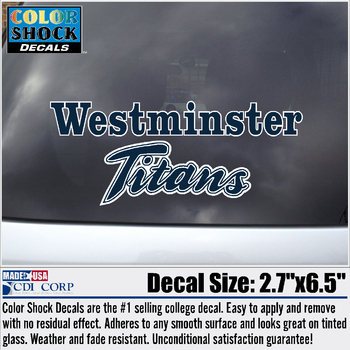 Westminster College Titans decal --2.7-inch by 6.5 inch, weather and fade resistant. Easy to remove. 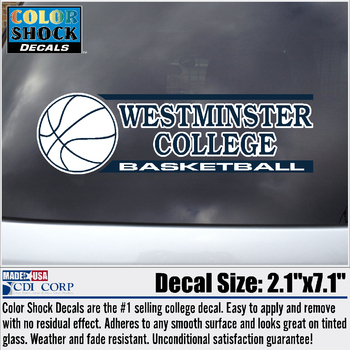 Westminster College sport decal --2.5-inch by 7 inch, weather and fade resistant. Easy to remove. Basketball, Baseball, Cheerleading, Cross Country, Football, Golf, Lacrosse, Soccer, Softball, Swimming & Diving, Tennis, Track & Field, and Volleyball. Please select option for Westminster Car Decal-Sport-available in all sports. 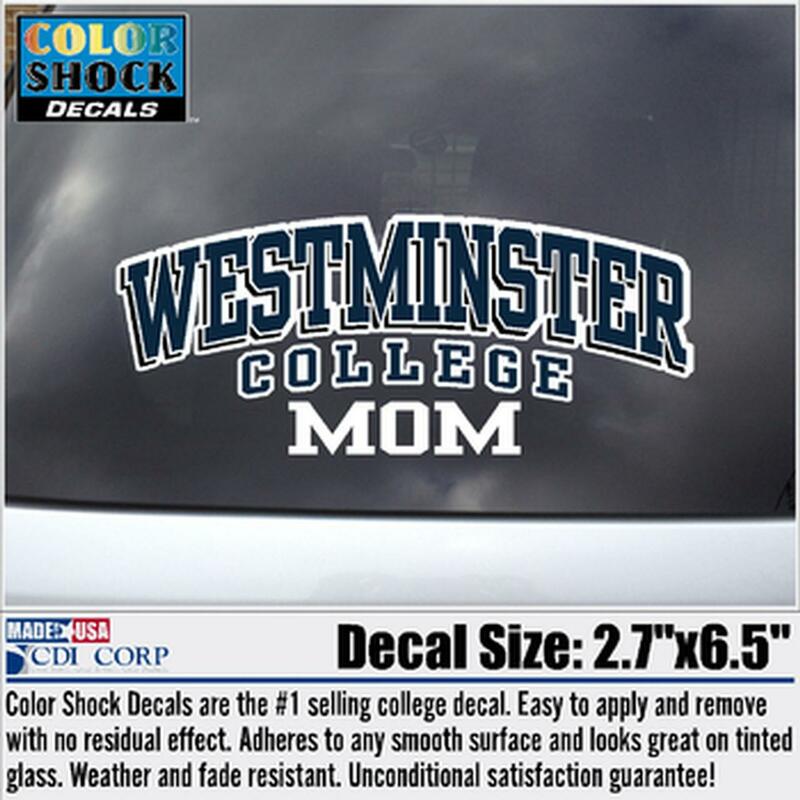 Westminster College decal --2.7-inch by 6.5 inch, weather and fade resistant. Easy to remove. Mom, Dad, Grandparent, Alumni, or New Wilmington. Please select option for Westminster Decal-Mom,Dad,Grandparent,Alumni,New Wilmington. 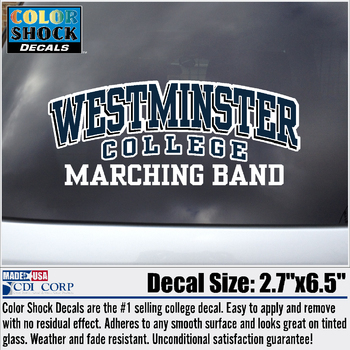 Westminster College Marching Band decal --2.7-inch by 6.5 inch, weather and fade resistant. Easy to remove. CDI Westminster College Pennant shape decal --2.1-inch by 6.6 inch, weather and fade resistant. Easy to remove. CDI Westminster College Titan Football shape decal --2.1-inch by 3.7 inch, weather and fade resistant. Easy to remove. CDI Titans script decal --2.6-inch by 6.6 inch, weather and fade resistant. Easy to remove.